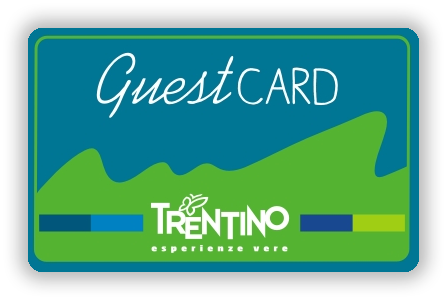 Staying at our facility you will receive for free the convenient TRENTINO GUEST CARD. » Step into more than 40 museums, Muse and Mart included! » 15 castles and more than 40 attractions, including the Arena! » Travelling freely on all public transport, including trains! » You can save over € 350.00 per week! » The card is valid for adults and children, for the duration of your holiday! It is easy to use: simply present it at the ticket office of museums, castles and attractions. To travel on public transport ask integration with card and transport travel freely on all public transport (including trains in Trentino) by validating the card on board or at railway stations. 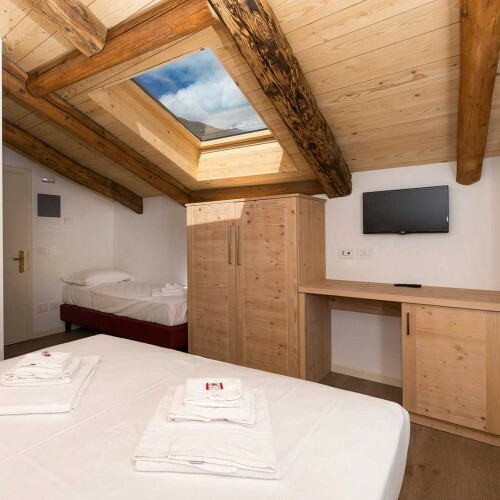 With your smartphone you can also connect and register pointing your QR code of your Guest Card and you can access your Trentino personal page. RESERVE A SPECIAL EVENING IN OUR SPA! Come and relax in our spa: jacuzzi, sauna and steam room, all wrapped in a unique atmosphere, enjoy a relaxing evening. Spa Reserved (for a max of 6 People, for an hour and a half. Time to be agreed). We have double rooms and/or doubles, triples, quadruples and apartments ideal for families or groups of friends. All rooms are very comfortable, furnished with bleached wood furniture.